Our Board is appointed annually at the Annual General Meeting by the Network’s members. The Board has responsibility for developing the strategic direction of the Network and its subsequent work programme, which is agreed by the wider membership. Meetings are held quarterly in different locations around England and Wales and agendas and minutes of each meeting are published. Having grown up on a hill farm, and now PFCC for one of the largest rural police forces in the country, Julia is keen to ensure rural communities are served effectively by the police. To this end, she was a founding member of the National Rural Crime Network and in the summer of 2014 was appointed as its inaugural Chairman. Julia also plays a prominent role in championing the needs of the public and victims at a national level. She holds the national portfolio amongst PCCs for transparency and accountability, which involves contributing to the transition programme of the Independent Police Complaints Commission, as well as the reform of the police complaints system. Before becoming North Yorkshire’s Police and Crime Commissioner, Julia ran her own business which specialised in working with the public sector, including the police and the NHS. Tim is Suffolk born and bred and lives with his wife and their three boys in north Suffolk and comes from a farming background. He has a degree in agriculture and an MBA, in marketing, international enterprise, strategy and financial strategy. 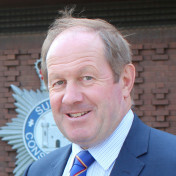 Prior to taking up the post of PCC, Tim was a self-employed agricultural and rural business consultant and the Leader of Mid Suffolk District Council. Tim is totally committed to more visible policing in rural areas and helping to improve safety and security in rural area is a key element of his Police and Crime Plan. I am a Cumbrian and grew up in Wigton. After University in Glasgow I joined the Royal Military Academy Sandhurst to train as an Army officer. In an army career spanning 34 years on operations and in UK in Logistics, training, HR, procurement and multi million pound contracted services management. I was the Principal of a Technical College (including a rebuild and change of location), Regimental Colonel of the Royal Logistic Corps of 16,000 personnel supporting operations in Afghanistan and around the world, and was latterly responsible for managing the careers of personnel of my own Corps and the Royal Electrical and Mechanical Engineers, some 20,000 men and women. 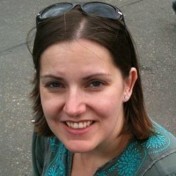 I am married to Ruth a Community Midwife in Carlisle and have two grown up children. I left the army in December 2015. I have focused my campaign manifesto on building community response to crime, working together, ‘we not they’ i.e. we all have a part to play in fighting crime together. This is particularly important in our rural areas where we must rely heavily on working together and intelligence gathering. I am therefore pleased to serve on the NRCN Board as Cumbria is a predominantly rural area, and I look forward to working with Colleagues to develop strategy to combat rural crime. Sue Arnold is a leading businesswoman who lives and works in a rural part of Staffordshire. 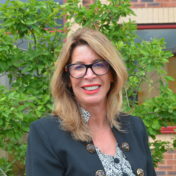 She was appointed as the Deputy Police and Crime Commissioner for Staffordshire in 2012, where she draws on her business experience and community engagement skills to help hold the force to account and drive further improvement. She leads on tackling business crime, improving services for victims and witnesses, and the young police cadets. A former district councillor for a rural ward, Sue has led work to tackle domestic abuse in rural communities, where it can often go hidden and unreported. This has included launching a business-based programme to support victims as well as raising the awareness of Modern Day Slavery and how to spot the signs. 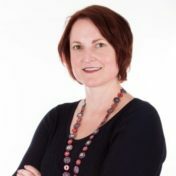 She has vast experience in business: publishing newspapers, being a director of the British Chambers of Commerce (London) and the Chairman of Business Link Staffordshire to name but a few highlights. Sue also launched Haselour House Media Ltd as a full service media agency with a client list including blue chip companies. She continues to own and successfully run the business from its rural base. 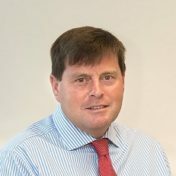 I have a broad range of skills and experiences gained from running successful businesses and working with Rural Businesses and Agricultural Equipment manufacturers within the rural communities of Lincolnshire. 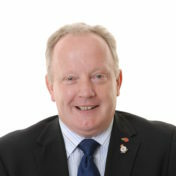 Spending 17 years in the RAF and my years as a Councillor in local Government in various executive support roles, with specific roles such as my work on Audit Committees, Health and Wellbeing and holding people to account for performance and delivery. Alison was elected Police and Crime Commissioner for Devon and Cornwall in May 2016. Prior to this Alison worked as the Chief of Staff to the local MP for Torbay. Between 2011 and 2015 Alison served as an elected councillor in Torbay and prior to this held a number of management roles in the crime reduction and community safety environment. She has a track record in helping promote the needs of the most vulnerable in order to ensure their protection and has an inclusive approach with interest and minority groups. Keen on a restorative approach to justice, Alison organised and worked alongside young offenders in the community to help put things right in the aftermath of their criminal offences. Devon and Cornwall is home to many rural and in some cases very isolated communities. As PCC, Alison wants to ensure that all residents feel well connected to their police service. 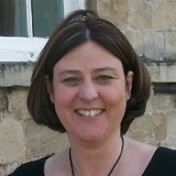 During her term of office, Alison is keen to persuade local communities, particularly those in rural areas, of the importance of reporting all crimes and concerns to the police to ensure a full picture of rural crime matters is fully understood and acknowledged by the police and in Government funding allocations. 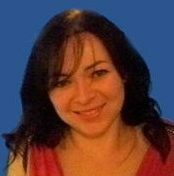 Alison is an advocate of using the power of social media for positive good and in 2012 Alison was the national winner of 'Online Councillor of the Year' award. As Operations Director, Kate has been leading the small dedicated team of central staff since the national office of the Neighbourhood Watch movement opened in May 2010. An important part of Kate’s role is to raise the profile of the movement with central government, the National Police Chiefs’ Council and the Association of Police and Crime Commissioners, to name but a few. The National Rural Crime Network allows Kate to promote the role of watch volunteers, who play a crucial role as the ‘eyes and ears’ of local communities. Through the Network, Kate will encourage her membership to participate in local crime prevention initiatives and share best practice with both members of the NRCN and the movement’s own membership, to help rural communities prevent crime. The Countryside Alliance is a campaigning organisation that works on behalf of everyone who loves and supports the countryside and the rural way of life. Crime is a key issue for rural communities, so we are pleased to support the National Rural Crime Network (NRCN), of which we are a partner group. Sharing information and best practice, joined-up campaigns and a consistent crime prevention message are just some of the benefits of being part of the NRCN. I have worked in Public Protection for over 20 years in both policing and community safety roles. 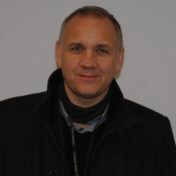 I am currently Group Manager Community Safety at Southend Borough Council. I have responsibility for a multi- agency Community Safety Team, co- located at Southend Police Station, and management of Southend’s Community Safety Partnership (CSP). I have substantive experience of tackling the community safety agenda, and have been involved with such since the early days of the Crime and Disorder Act 1998. This includes undertaking Strategic Intelligence Assessments. Current responsibilities include lead officer for the Borough’s Purple Flag Project Team (maintaining safe and prosperous town centres at night). This is a national award overseen by the Association of Town Centre Management (ATCM) and is recognised as the gold standard level for managing night time economies. Under the ACTM I am also a National Purple Flag Assessor able to undertake Purple Flag assessments of towns and cities in the UK. I have responsibility for the coordination and management of Domestic Homicide Reviews (DHR’s) and since the new legislation was introduced, have overseen 3 DHR’s on behalf of Southend’s CSP. I have accumulated much knowledge and experience of key areas of community safety work, these include Integrated Offender Management (IOM), Community Engagement, Anti -Social Behaviour, Domestic Violence and Crime Reduction. All of these areas sit within the Unit I have management responsibility for, including the Borough’s extensive 24hr CCTV network. I am currently coordinating multi agency approaches to Serious Organised Crime, and Counter Terrorism (under the PREVENT Agenda). I have held a long association with NCSN and have been an NCSN Mentor under the NCSN Mentoring Scheme. I have been a member of the NCSN since 2001. Gemma joined Crimestoppers in 2013 after a 12 year career with Lincolnshire Police after graduating from University with a degree in Law and Criminology. With Lincolnshire Police she worked predominately within the intelligence department, then on a project team as the force’s intelligence lead to implement a new records management system. Gemma delivers a range of campaigns and projects across the Yorkshire and Humber region in her role with the charity Crimestoppers, and was on the project team for ‘Op Tractura’, Crimestoppers’ national rural crime campaign. Sam is NFU Chief Land Management Adviser, leading on sustainable intensification, knowledge exchange and farm advice and managing teams working on a range of land management issues including the Basic Payment Scheme, rural surveyor matters, rural crime and the agricultural industry environment initiatives. Sam has an Ecology degree and is a qualified primary school teacher. 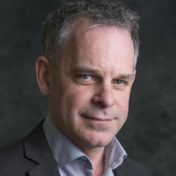 His work history includes managing an island nature reserve and a variety of conservation land management projects, a campaigner with environmental and international development NGOs and national coordinator for the Campaign for the Farmed Environment. NFU are pleased to support the NRCN and address the rural crime issues that impact significantly on our farming members and wider rural communities. NFU pushes for a high priority to be given to the tackling of rural crime and to improve direct communications between police and farmers, and between forces, to improve the reporting of rural crime and to promote effective working across borders.